I promised YESTERDAY that I would tell you the who, what, where, why and hows today! My number one purpose was to shop Long Arm quilting machines at the quilt show. Even though I really did not expect Mr. Boss to purchase one this weekend, I knew if I did not get my hands on a few, I would never really know which one I should even set my sights on! I have been dreaming of a Long Arm for about 10 years now. I have avoided many quilts and turned down requests from friends and customers based on the fact that doing a quilt any larger than 70x70 inches make me go crazy! I actually start going crazy once a quilt exceeds 48x48 inches!! I have actually never touched a machine until this weekend. I have watched countless episodes on quilt TV shows. Countless Youtube videos. And of course, have seen a gazillion finished products. Okay...back on point. The Houston Quilt Festival! A little birdie (maybe my very own local quilt shop?) told me that the long arm companies bring many machines to demonstrate and some conduct classes all week. They would prefer to have someone take them off site, then haul them all back home. And they are used..they can't sell them for full retail to a customer. So, DEALS, ladies....DEALS on DEMOS!! We bee lined to the booths. We hit Gammill, BabyLock, A-1, HandiQultand kind of swept by the others. First off, why did I rule out the others? They were not on my top list after my extensive online research the past few years. Did I mention that I used to send links of machines to Mr. Boss on occasion. Marketing to your hubby is pretty key, especially if he is in the business of marketing, right? Second reason for passing them by. Basic construction. You can literally SEE the difference in frames and machines. Steel versus aluminum. Bulkiness versus too simplistic. I will give you the SIMPLIFIED breakdown. There is so much more, but I don't want to bore! Dazzle you with the fancy lighting. The oldest company in town. Service. My quilt shop would be my go-to guys. Perfect support! Offered a "decent" deal on the demo. It just "felt" strange to me. The movement was not smooth. Maybe it was the set-up. Maybe it was the environment. I just felt that if you are at a show, the machine should be running at it's best...and it wasn't. The price was 3,000 more than the Gammill? It was a bit perplexing. Only ONE demo was available. So they were very pushy on us making a quick decision. Note: I REALLY wanted to like this one, I swear. I just didn't, which saddens me a bit! 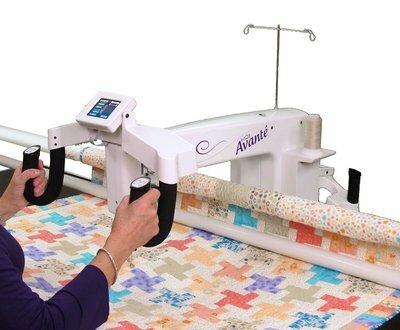 Company was founded by a quilter. A woman that wanted to make a LA for women just like me...at home, making my own quilts and a small home business. The NICEST salespeople ever. Informative. Maintenance. Just the bobbin case every other bobbin change. 7 Instruction DVD videos with purchase. Didn't mess around. Gave the quote right away and didn't pressure us to buy. Every FMQ I did turned out exactly how I wanted it. Effortlessly. I was making leaves, hearts, flowers, and even attempting the difficult feather patterns!! Did I mention that the President of the company gave out his cell to arrange for pick up? Then he helped box the machines up. That kind of service is just my style! The only concern is that they were bought by an investment company. 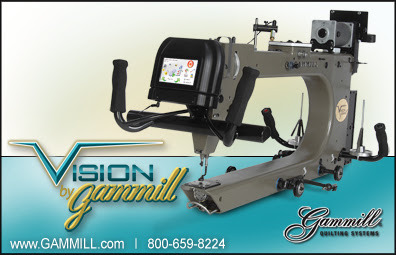 But what sewing machine company HASN'T been lately? It just wasn't a deal breaker. Yes....to all. EVERY SINGLE MACHINE could be upgraded with computers and it didn't sound like too much work (except possibly Gammill). I hope this helps if you are looking, searching. I must reiterate, I have not been paid or received any special deals from any of the companies. This was just MY experience. I would not be surprised if someone else had a completely different experience! Pretty, pretty girl!!!!!! I can imagine ....you feel like a child with a new toy today, don´t you?? I can´t wait to see some work done on it! Do you think you will have enough room for it in your studio??? I can make room in my living room! LOL! Just let me know. The only problem is that I am on the other side of the planet!!! Awesome! I can only hope that one day I will get my hands on a long arm for myself. It is really nice to hear (read) your option. I think this might help me make up my mind. Could not be happier for you. can't wait to see what you do with it. Always look forward to your post. 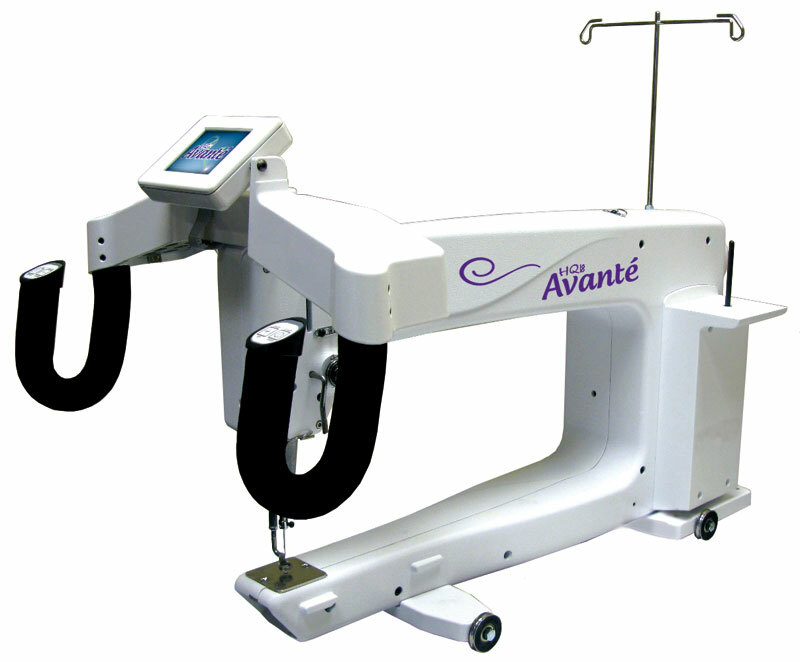 Congratulations on your longarm! How awesome! I'm saving up to buy one but I have to build a new studio for it first since I have no place in my house to put one. Right now I use my mom's but since she is two states away I can only use it for really big quilts. She though loves hers and uses it for everything from giant quilts to 12' square wall hangings. I'll be anxious to hear how you're liking yours as you go along! I hope it helps. Like I said, I can only comment on my own experience, but if it helps someone else that is contemplating such a high expense..you want to be fully armed, right? Thanks for all the congrats...I got the phone call today while I was out that my frame is getting shipped out tomorrow...aaaarghhh...now I have to be patient! And there have been questions about where it is going....stay tuned. I am going to need my blog friends through the trials and tribulations!! 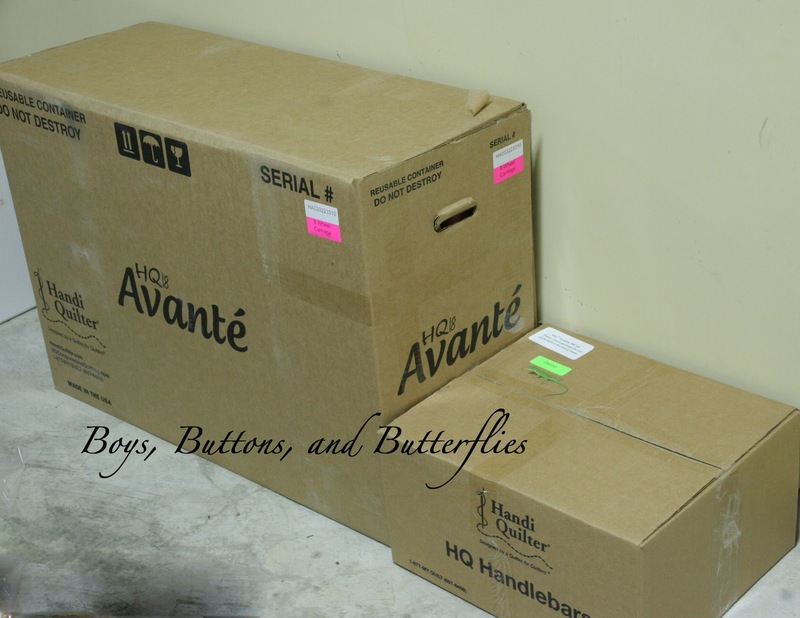 I am wondering if you have your Avante up and running? I am wondering if you have any tensions issues. I purchased one three months ago, and have yet to get the tension correct? I have had her up and running since late November! I did have some tension issues on my third quilt, but I quickly learned I had threaded the machine wrong. One little thing near the needle. I glance over the directions every once in awhile because sometimes I thread a certain part backwards. 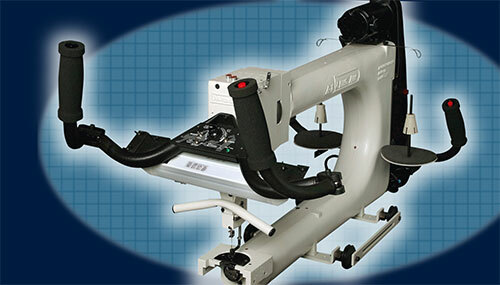 Also, with Longarm machines, you MUST make sure your bobbin thread tension is correct each time. Unlike a domestic machine, they do require a little more tweaking! My tension was messed up in the early spring when I was working on a large auction quilt. It was VERY heavy and was t-shirts top and minky bottom. I had to redo all the tension on the next quilt. Hope this helps!??!?! And, I found that my Handiquilter representative was VERY helpful. I would see if you could have them help you out!